Often celebrations are big events; weddings, graduations, new babies, and birthdays. But what about all the subtle things in life that with out them we wouldn’t be able to have these big events, like the air we breathe, waking up in the morning, the sun, and food we eat. It’s time we acknowledge all that life gives us. 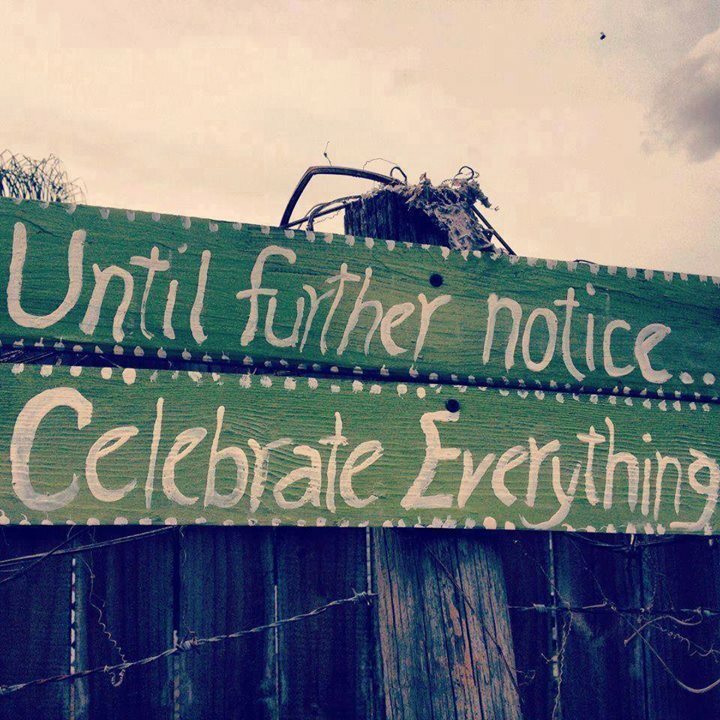 To often we only focus, recognize, and talk about all the negatives that are in our lives, so this week watch your life lift up and become a celebration as you seek out everything you can rejoice in. Keep in mind as you better yourself, you better the world.